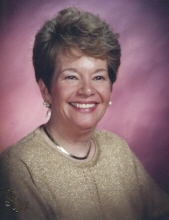 CHAPEL HILL: Beverly DeChiaro, 76, passed away on Thursday, March 14, 2019 at Duke University Hospital in Durham. She was born in Durham to the late Thomas Burke Craver and Edna Buchanan Craver. In addition to her parents, she was also predeceased by her husband of 38 years, Dr. Vincent Louis DeChiaro. Ms. DeChiaro was very active in volunteer work. She was involved in Meals on Wheels and Juvenile Conference Committee. Ms. DeChiaro is survived by her daughter, Jeanna McCraw (Kenneth); son, Richard DeChiaro (Laurie); brothers, Thomas Craver (Elizabeth), James Craver (Susan); and grandchildren, Kerri McCraw, Dana McCraw, Erin McCraw, Nicholas DeChiaro, Kurt DeChiaro. A memorial service will be held at 10 a.m. on Wednesday, March 20, 2019 at St. Virgils Church: 250 Speedwell Avenue, Morris Plains, NJ 07950. To send flowers or a remembrance gift to the family of Beverly DeChiaro, please visit our Tribute Store. "Email Address" would like to share the life celebration of Beverly DeChiaro. Click on the "link" to go to share a favorite memory or leave a condolence message for the family.